The Lord is my portion or share, says my living being (my inner self); therefore will I hope in Him and wait expectantly for Him. [Now] we have this [hope] as a sure and steadfast anchor of the soul [it cannot slip and it cannot break down under whoever steps out upon it--a hope] that reaches farther and enters into [the very certainty of the Presence] within the veil. Put it there. Don't be afraid to put it there. Really. 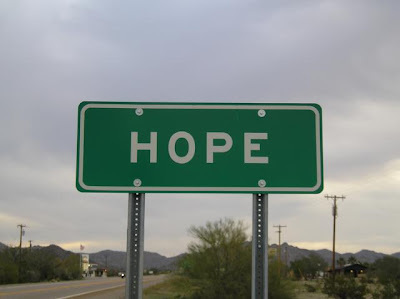 So interesting that you have posted about HOPE... the Lord recently spoke to me and said He was releasing an "EXPLOSION of HOPE..." and right now I am doing a study on HOPE... seems it is in season my friend! Love and miss you!!!! !